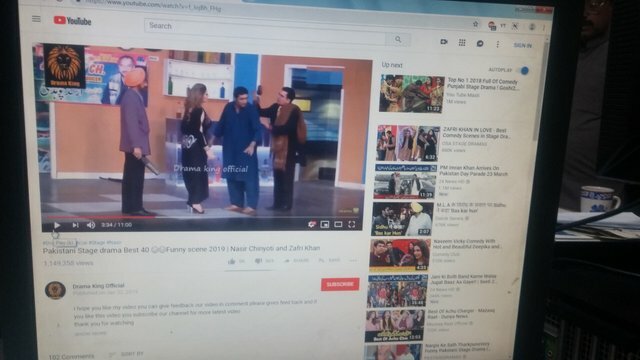 Stage drama in pakistan are widely watched in the country of pakistan. Not in pakistan it is watched all over the world. I also like the conedy of drama . comedy things are rarely in the world.tickets are also reasonable of stage dramas . my favorite actor in stage dramas is mastana. He is not in the world but his work is alive and will remain. He also will remain in the heart of peoples. Congratulations! This post has been upvoted from the communal account, @minnowsupport, by usman119 from the Minnow Support Project. It's a witness project run by aggroed, ausbitbank, teamsteem, someguy123, neoxian, followbtcnews, and netuoso. The goal is to help Steemit grow by supporting Minnows. Please find us at the Peace, Abundance, and Liberty Network (PALnet) Discord Channel. It's a completely public and open space to all members of the Steemit community who voluntarily choose to be there. This post has received a 3.13 % upvote from @drotto thanks to: @atombot.